What’s Lace Got to Do With It? Maybe it’s because I picked up My Love Story by Tina Turner at an airport bookstore after attending Art Basel Miami last week, and it made me think of her most successful single, What’s Love Got to Do With It. Of course it was also the soundtrack for her autobiographical film released in 1993, permeating the airwaves and my brainwaves for years. Or maybe it’s just the surreal mind of Salvador Dalí (1904 – 1989), who titled his monumental sculpture “Rhinoceros Dressed in Lace”, that has me marveling at the bizarre title, and hence, my own bizarre title. Either way, seeing the gigantic bronze of the magnificent beast on the Cristamar roundabout at the entrance of Puerto Banús, was worth the 24 hours travel time it took to get from Scottsdale, Arizona to the Costa del Sol in Spain. Local signage also calls it the Costa del Golf, which is part of my reason for being there with my golf clubs in tow. 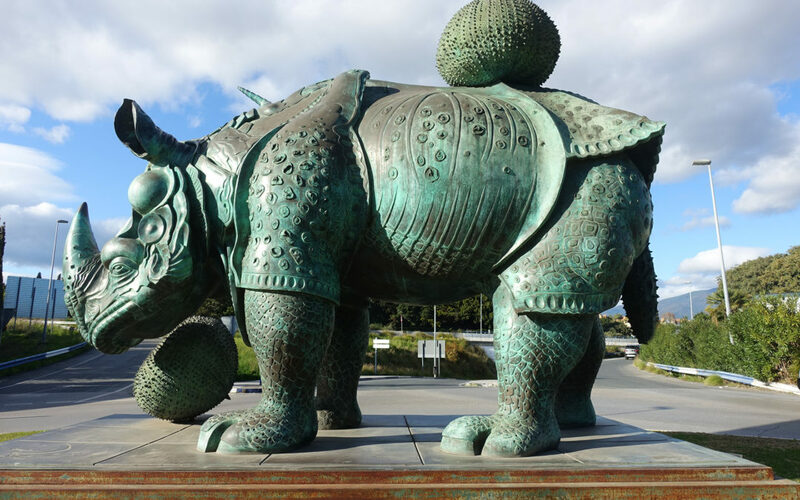 The enormous sculpture was created in 1956 following Dalí’s movie: The Prodigious History of the Lacemaker and the Rhinoceros, so that is the first connection I came across. It was filmed in collaboration with the photographer Robert Descharnes and relates to Johannes Vermeer’s famous painting of The Lacemaker, completed around 1669-1670, held at the Louvre, Paris. And if this all sounds strangely fantastic, it is, given Dalí declared the mathematical logarithmic proportions found in the horn of the rhinoceros to be the most perfect form found in nature. How he found the context of the Vermeer’s masterpiece depicting a woman hunched over her delicate needle work and wove it together in his own peculiar mind is a complete mystery to me. And for that matter, how many of us knew about Dalí’s cinematic productions? I, for one, was not aware of his exploration into film, but it was probably an inevitability, since showmanship was so much a part of his eccentric persona. I risked life and limb to get up close to the colossal rhino as I dashed between the dozens of cars whizzing around the circle before they would spin off in all directions. If you haven’t done much driving in Europe and are not familiar with roundabouts, just know, they are not for the faint of heart. Research revealed the titanic bronze weighs 3 tons, and was donated to the Puerto José Banús in 2004 by D. Lorenzo Sanz Mancebo in celebration of Dalí’s birth. The upscale Puerto Banús in Nueva Andalucía was built in 1970 by José Banús as a luxury marina and shopping district. That vision of decades ago has now matured into a robust Marbella success story. A leisurely stroll along the bustling seafront eventually brings you to the biggest of the yachts. One in particular caught my attention. How could it not? 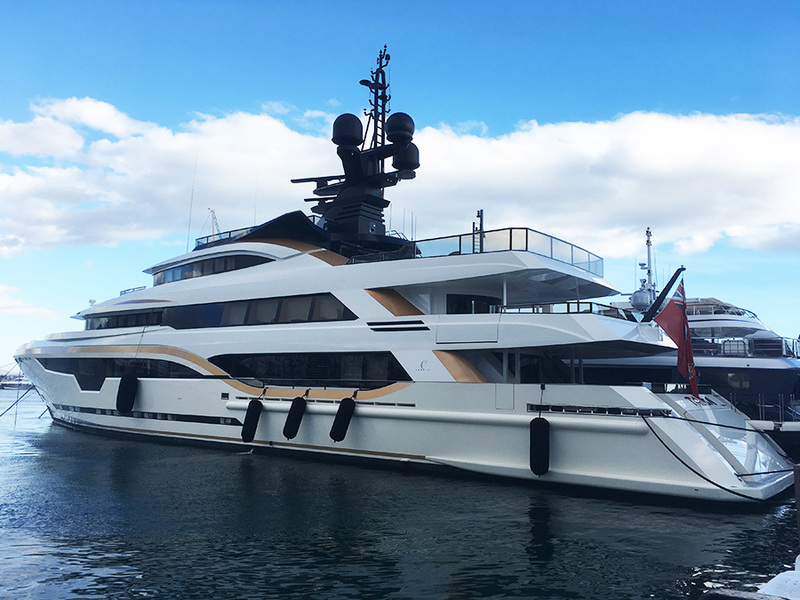 This superyacht was taller and longer than all the others and drumroll please, named TAIBA. With a small alteration to the paint job, I could easily make it mine. Taba (I mean Taiba) has three teak decks and is 187 feet of luxury, featuring a pool, cinema and she even has an elevator. Built in Italy in 2015, the interior is by Francesca Cianficconi Architetto. Taiba reaches a top speed of 16 knots and can sleep up to 17 guests in 7 cabins. She is also capable of carrying a crew of 14 which is probably essential these days when you want to keep your golf clubs and shoes perfectly clean at all times. Back to that illusionist — Dalí. 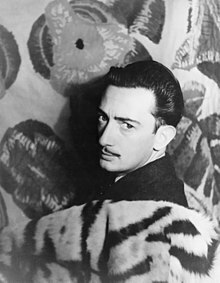 Born in May 1904 in Figueres, Catalonia, Salvador Domingo Felipe Jacinto Dalí i Domènech, 1st Marquis of Dalí de Púbol was known as Salvador Dalí. His obsession with the rhinoceros began at age nine. 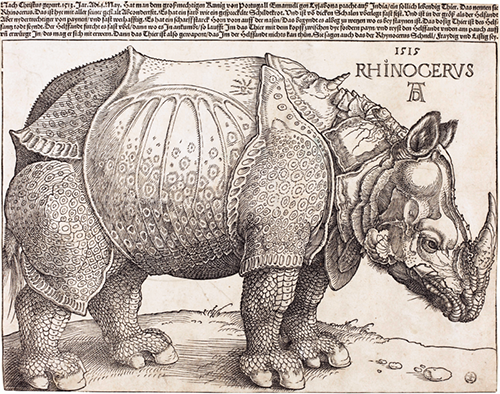 As fate would have it, in his childhood home, there was a woodcut of Albrecht Dürer’s “Rhinoceros” published in 1515. The German painter and printmaker had never actually seen the giant animal himself. However, he had read a description and saw a sketch by an unknown artist of an Indian rhinoceros that the King of Portugal sent to Pope Leo X as a gift. Unfortunately, the poor beast died in a shipwreck off the coast of Italy. Nevertheless, Dürer’s print, although far from accurate became very popular in Europe and was copied many times over the centuries. Obviously the gargantuan odd-toed ungulate with its highly decorated armor-like plates had a profound influence on the young artist-to-be.